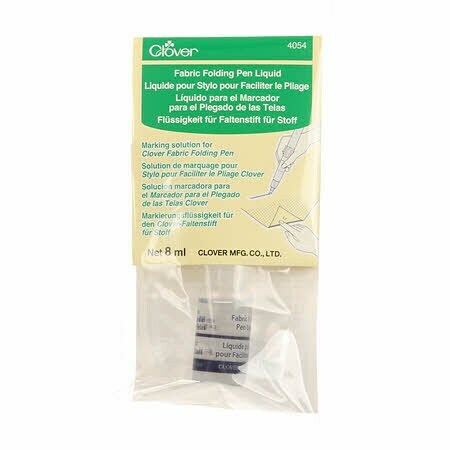 Clover Fabric Folding Pen Liquid is a marking solution refill for the Clover Fabric Folding Pen. Fill dedicated pen with water, and add a few drops of marking solution. Marking solution may turn Yellow, but this poses no problem for use.